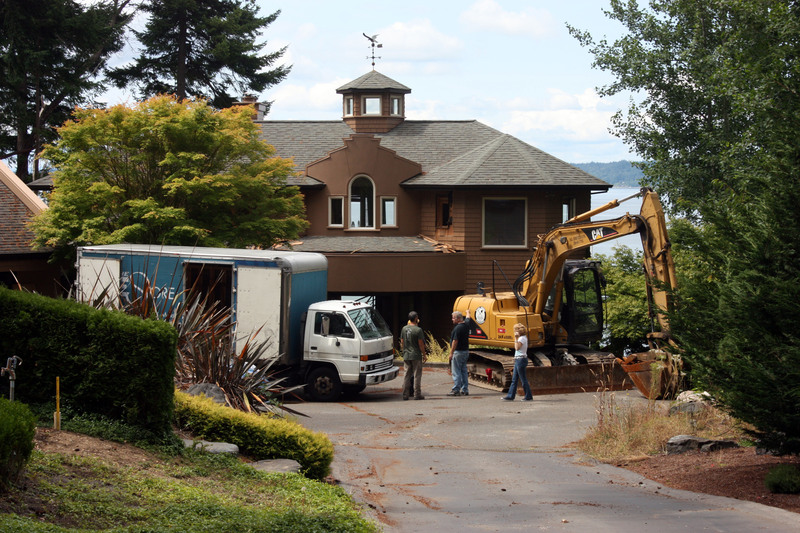 Recent Gig Harbor green demolition project. Seattle Deconstruction Manager, Noel Stout, top left. Green Demolition, aka “Deconstruction”, is a form of building demolition that utilizes a combination of machine and hand-dismantling to recover materials for reuse. The RE Store specializes in whole-building deconstruction, which is economically competitive with regular demolition and allows for the reuse up to 50 percent of most structures, recycling as much as possible of the remainder, typically leaving only 1-2 percent of an entire building as trash. 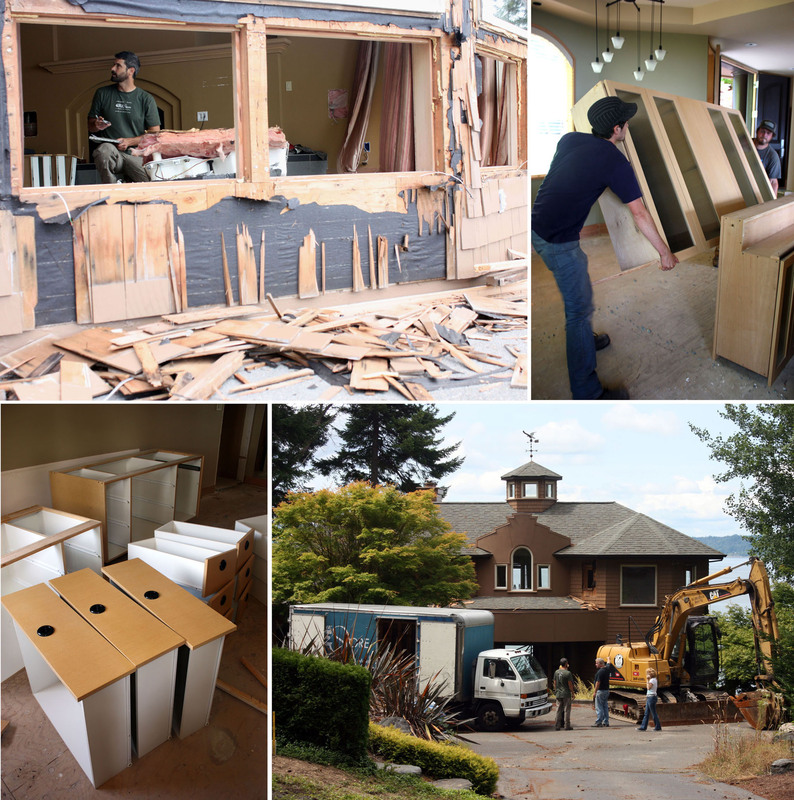 Our services are fully adaptable to full or partial removal of structures. 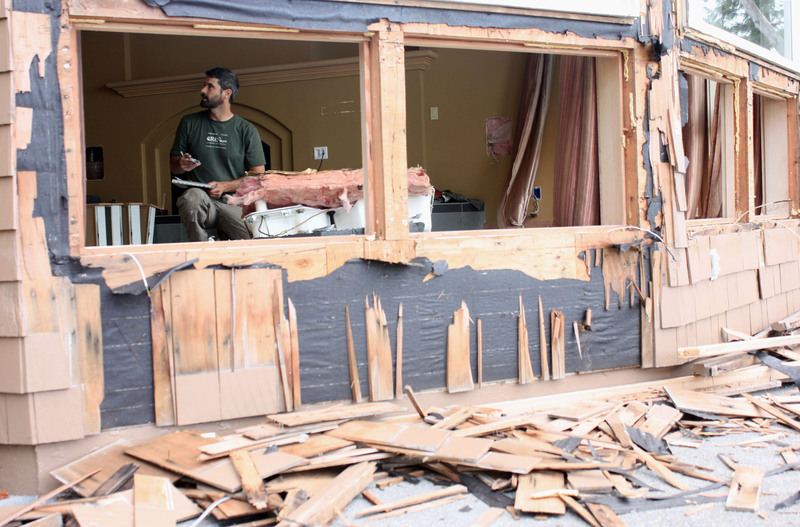 To find out more, or to discuss your Green Demolition project with Noel Stout in Seattle, or Wade Johnson in Bellingham click here.